Open thread for June 15…….Site Upgrades and White House Hype…. I’ve been busy today doing some paperwork and house cleaning the blog for a long due upgrade…..
And believe me it ain’t as easy all as the web hosting people and WordPress says it is…. Then I found the right place but WordPress is having problems…. I vow to be patient….. The new Web Hosting people have my money now…. I’m now checking the net to do a post and I notice one thing…. Every media outlet has something on Obama going to the Gulf, Obama telling the BP what to do….The White House in charge …Congress beating BP up…The stocj taking a hit…. And the best ones…..The Clean up is Chaotic….. They even have a picture of my man Thad Allen looking glum…..
Judging my the comments here I guess I’m the only one out here that ain’t looking to lynch BP…..
And the state actually coordinates the clean up….. BUT THEY ARE THE LEAD NOW! SEND YOUR PUNCHES TO THE PRESIDENT and the government…. BP will settle on putting money aside…. For the states and BP…. And I hear that WH Press Secretary Gibbs thinks they can capture 90% of the oil by next month….. So I’ll try to do a some polling pieces and anyone that wants to try their hand at it…..
Al Greene; talks and background……From Talkandpolitcs…..
Greene graduated from Manning High School in 1995 and received a bachelor’s degree in political science from the University of South Carolina in 2000. He served as an intelligence specialist and a unit supply specialist in the U.S. Army and has served in the Air Force and Army national guards. He has received the Global War on Terrorism Service Medal, the Air Force Good Conduct Medal, the Korea Defense Service Medal, and the National Defense Service Medal. Greene received an honorable but involuntary discharge from the Army in 2009 and has been unemployed since. Editorial……Lets get something straight Rep. Clyburn…..Greene ran as a DEMOCRAT in your state…..Where was the party? I’m beginning to get annoyed at Rep. Clyburn….. But it negates a fact…. Alvin Greene ran as a Democrat…..
Stop blaming the Republicans if you got no proof…. Greene paid the $10,400 to run…. He was charged with a crime in the state…. Strange….he hasn’t had a hearing or a court date from what I’ve read…. The story runs…but goes nowhere…. South Carolina looks like an Amateur Hour State….No the Democrats look like the Amateurs actually….. If no one can prove there was voter fraud…. And the leadership of the South Carolina Democratic party should gone….gone….gone…. To a no name black guy….. I had not thought of him for years! What a great TV Show opening! And what a great theme song! Maybe Al could adapt it. He’s a site to see! and to himself even more! Alvin Greene Update for June 11……. Where did he get the money to file? What’s the story with the criminal charges? Mr. Clyburn, the House Democratic majority whip, called for a federal investigation because of reports that Mr. Greene, who told television reporters and others that he is unemployed, somehow paid the more than $10,000 filing fee to run for the Senate. The Associated Press reported that Mr. Greene had been charged with a felony in a case involving showing pornographic images to a college student. Mr. Greene, 32, was largely silent about that as more and more news media tried to contact him. (In interviews on Thursday, he would not comment on the charge, saying he was innocent until proved guilty.) He said he would not step down. Mr. Greene was asked in numerous television interviews on Thursday about the cash he used to pay the filing fee, especially given the fact that he is receiving unemployment benefits and is represented in criminal court by a public defender. He said it was his own money. Aa Democrat I am ASHAMED of my party for having this clown(and possible criminal) as a candidate …..
Where did he get the ten thousand filing fee? What about his pending criminal charge? Dont worry Leal you can always write his name in! South Carolina Senate nominee Alvin Greene update…..He’s asked to step down…..
South Carolina’s newly-minted Democratic Senate nominee remained defiant Wednesday night, saying he wouldn’t step aside even after charges surfaced that he had shown a college student obscene photos last fall. State Democratic Party officials have called for Alvin Greene to withdraw from the race, but he told the Associated Press that “the people have spoken. We need to be pro-South Carolina, not anti-Greene,” and that he would remain in the race. South Carolina Democratic Party Chairwoman Carol Fowler told POLITICO she remains hopeful Greene will reconsider, but in the meantime they are speaking with their attorneys to see if there are other ways to remove him from the ballot. Greene, a 32-year-old unemployed Army veteran, raised no money and had no staff in his primary campaign against Charleston City Councilman Vic Rawl. The two candidates were competing to face Republican Sen. Jim DeMint in November. On Wednesday, the AP reported that Greene had been arrested in November after approaching a University of South Carolina student in the school library, showing her a pornographic photo on a computer, and then suggesting they go to her dorm room. Greene was released on bond but hasn’t entered a plea or been indicted. As for how Greene ended up posting an 18-point win over Rawl, who campaigned and fundraised statewide, Fowler said she remains puzzled. South Carolina Senate nominee Alvin Greene update…..He's asked to step down….. The Democrat running against Senator Jim DeMint in SC is a black, unemployed veteran….Updated……. Yea you read that right……..
64 year old Vic Rawl, A former SC legislator, lost to one Alvin Greene…. A guy with no job, and no money…. 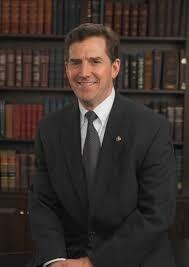 DeMint’s a GOP maverick, who has a job, and more than $3.5 million in the bank…. This one’s gonna have media all over it…Especially, since Haley is now looking like a winner…. A self-proclaimed jobless military veteran won South Carolina’s Democratic Senate primary and the right to challenge the incumbent, conservative Tea Party Activist Jim DeMint, in this fall’s election. Alvin M. Greene, 32, took 59 percent of the vote, stunning his primary opponent, Vic Rawls, 64, a former judge and four-term state legislator. “I wasn’t surprised. . . . I mean, just a little, but not much,” Greenetold Mother Jones magazine, in one of his few post-election interviews. Greene said he scraped together the $10,400 filing fee and funds for his campaign from money he had saved while serving in the Army in South Korea. Greene said he completed his military service, a total of 13 years in the Air Force and Army, last August. He has been unemployed since. He declined to explain why he has neglected to speak with any Democratic Party officials or to register and file reports with state and federal election officials. “I’m not concentrating on how I was elected — it’s history,” he said. Army officials said Wednesday morning they were checking to verify Greene’s military status. Greene appeared to have run his campaign largely in the dark. He put out no campaign posters, ran no ads, and although he said he had campaigned across the state, was vague on the precisely where he had appeared. “As far as I know, he never showed up at anything,” state Democratic Party Chairwoman Carol Fowler told reporters. She speculated that voters picked Greene over Rawl because his name came first on the alphabetical list of candidates. Note……Grenee has got Mt. Everest to climb…But stranger things have happened…. Court records show that Greene was arrested in November after allegedly showing the photos to a woman and talking about going to her room at a university dorm. He posted bond after his arrest and has yet to enter a plea or be indicted, the AP reported. The charge carries a maximum five-year prison sentence. The Army said Wednesday that Greene, from Manning, S.C., was discharged in August 2009 after being promoted to specialist. He served three years as a supply technician, including a tour in South Korea from June 2007 to July 2008. He last served with the 1st Infantry Division at Fort Riley, Kan.
As stunned party officials in South Carolina and Washington scrambled to absorb the implications of Greene’s unusual victory, his election prospects seemed unclear — although he is certain now to attract the first serious media and political attention of his campaign. Greene remains undaunted. He said he is excited about the campaign. “I’m looking forward to the debate this September,” he said. From the Updated PoliticsDaily piece link above…..